The Starmark team and Solo Printing recently earned two 2018 Premier Print Benny Awards from the Printing Industries of America (PIA). The Karisma Hotels & Resorts Connoisseur Collection brochure was ranked “Best of Category” in both the “Booklet or Brochure Series” and “Media Kits” groupings. 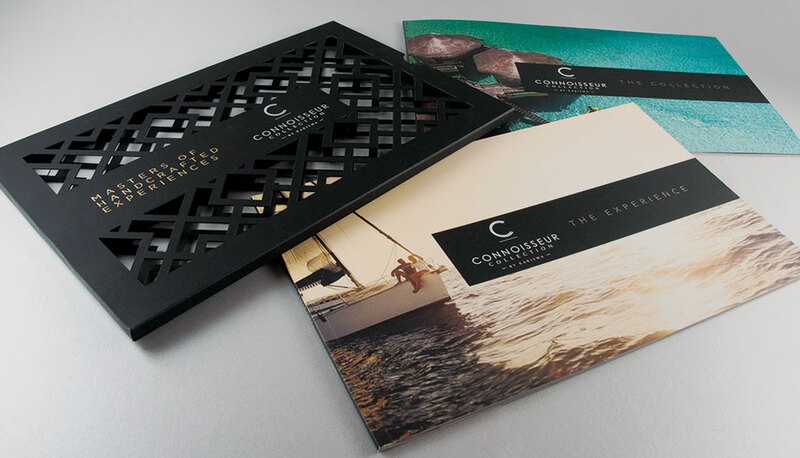 Like The Connoisseur Collection, Starmark’s eye-catching brochure design is in a league of its own. The architectural die-cut cover, along with the experiential photography and copy, uniquely reflects and captures Karisma’s most luxurious accommodations. The brochure and its elegance are a powerful sales tool for travel agents to use to successfully attract high-end vacationers as a part of Karisma’s Gourmet Inclusive Vacation Consultant program. As the world’s most prominent international print competition, the PIA received around 3,000 entries from all over North America, China, Indonesia, Australia, and the United Arab Emirates. Each submission endured a rigorous judging process in which no detail was overlooked. Every year Benny honorees exhibit superior print quality and exceptional craftsmanship, and Starmark is proud to have created a brochure that has left a lasting impression.